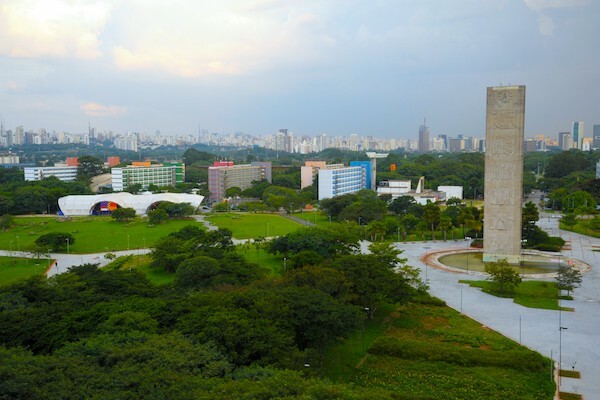 Praça do Relógio - Universidade de São Paulo - São Paulo. 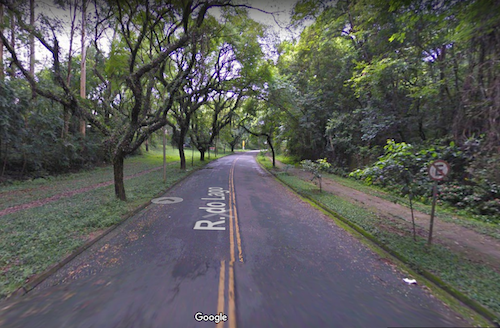 Running on the University of São Paulo campus is a popular spot for runners in the city. campus features long paved streets, small parks, and some good hills. There are a couple of good options for running: we’ve mapped out a route beginning at Av. da Universidade near the University Library, following the perimeter of the campus for a 5.8 km (3.6 mile) loop. One can also run adjacent to the road on the paths of the river/OIympic Basin, though some sections are fenced off. Another good option to add on and create a longer or shorter route by exploring the inner streets of the campus. The middle of the busier roads include biking and running lanes safe for runners. Many of the roads are pleasantly shaded, with dirt side paths. Examples are R. do Matão, R. do Lago, each of which runs for about 1 mile. Note: Not open to the public on Sundays. For a longer run, head across the river (Av. Prof. Manuel José Chaves bridge), to the Alto de Pinheiros neighborhood. You’ll find paths along the water, and the Park Villa Lobos, plus some streets OK for running.